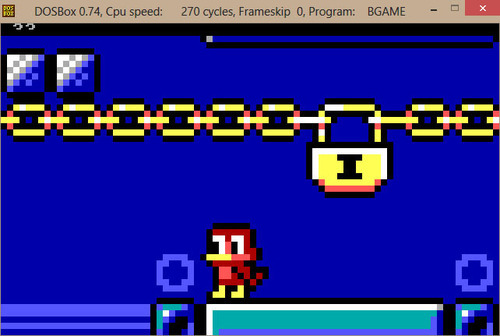 MagiDuck is a simple platform game running in tweaked CGA mode with resolution of 80×50 pixels. It’s made with QuickBasic 7.1 PDS and assembly language. The goal is to make smooth scrolling game which is playable on humble 4.77MHz 8088 with 256kB RAM. Yo can follow development of MagiDuck on bluepandion.tumblr.com and vintage-computer.com.